Diamond Lap Discs - 60 to 3000 Grit! Quality diamond lap discs for flat lap grinders used in glass, tile, lapidary and stone work. The DiamondSure brand flat diamond laps are strong metal discs with diamond grit electroplated to the lap disc for long life. Each diamond disc is made of heavy 40 mil - 1mm thick steel metal disc with bonded diamond grit. The diamond discs all have a 1/2" center hole and will fit Inland Flat Lap Grinders in addition to other flat lapidary grinders with a 1/2" arbor. 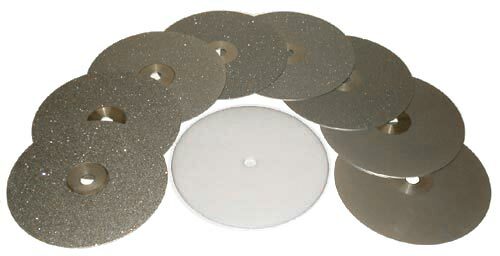 The diamond lap discs are available in 6", 8", 10" and 12" diameter discs and they are available in many different grit levels from 60 to 3000 grit. Buy any mix of 3 or more diamond discs within each 'size group' to save. Mix any 3 or More Discs within each size group for lower price! Mix any 3 or More 6" Discs for lower price! Mix any 3 or More 8" Discs for lower price! Mix any 3 or More 10" Discs for lower price! Mix any 3 or More 12" Discs for lower price!  pricing will be adjusted appropriately when the order is processed.